Everyone has heard about people just growing cannabis in their backyard or out in the woods. Yet as with any crop, growing cannabis in regular soil really is not ideal. If you have ever grown fruits or vegetables, you know that different types of plants need different nutritional content. Even growing something as simple as grass requires specific soil acidity levels and fertilizers. In this article, we will cover why growing cannabis in regular soil is not ideal, what the best type of soil really is, and tips for getting the best grow. Why Regular Soil Is Not Ideal for Growing Marijuana? When starting a traditional garden, many gardeners have to spend months enriching their soil. But even enriching soil is not always ideal for growing marijuana. If you have been to a garden center, you may have noticed that there are different blends of soil for things like succulents, flowers, vegetables, and fruits. Different types of plants need different levels of nutrients. Soils tend to differ in five major ways: drainage, nutrients, texture, pH level, and water retention. 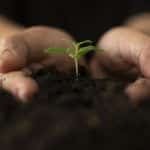 What is the Best Soil for Cannabis? Drainage. Some plants will rot readily if their roots are allowed to remain moist. High drainage soils are frequently used for plants such as succulents, in order to make sure that their roots dry out quickly. The addition of things like “perlite” improve drainage. Cannabis does not need high drainage. Moderate to low drainage is fine. Water retention. This controls how long water will be retained in the soil. If you have soil with low water retention, you will need to water your plants more frequently. Cannabis plants like water, which means you want soil with high water retention. Soils that include peat moss are a good choice, as this keeps the soil moist. Nutrients. If you are growing cannabis, it is very likely that you are going to be adding a nutrient base of fertilizer to your soil regardless. That means that in terms of nutrients, you really just want a high quality, general purpose soil. Many prefer organic soils, to ensure that the cannabis that they receive will be organic. Organic soils do not have added chemicals that could be harmful. Texture. The texture of your soil can range from a coarse soil to a very silt-like soil. In reality, this does not matter so much for cannabis: you can choose a soil texture that makes the most sense in your setup. If you are growing in pots, you may want a potting soil that holds together better. If you are planting outside in raised garden beds, you may want a heavier, more clay-filled soil. pH level. This is the acidity or basicness of the soil. Cannabis tends to prefer its environment to be slightly acidic. In general, the best soil for cannabis is going to be between 6 to 6.8 pH. These are all the attributes of the soil itself. You can alter these attributes through the use of fertilizers. For instance, frequently you may add nutrients such as nitrogen to the soil through a fertilizer. Because of this, getting the right blend for your marijuana plants is actually a bit complex. 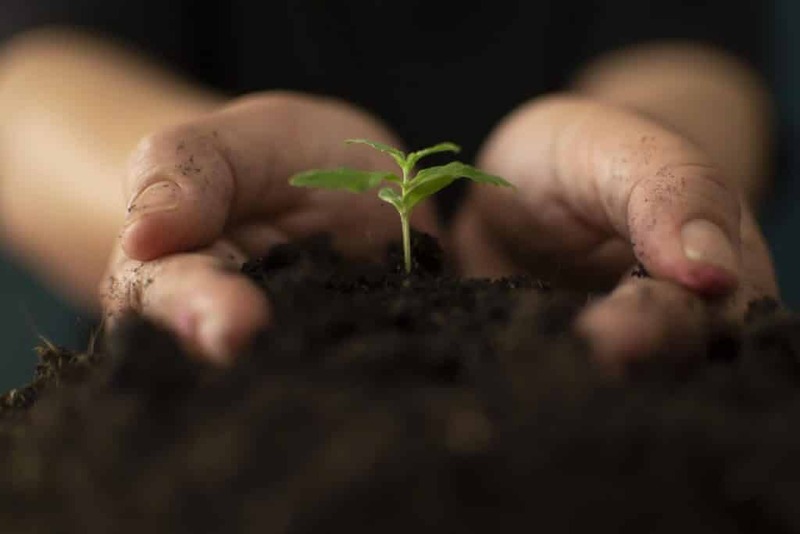 You may need to fine-tune your soil and fertilizer combination over time, and if there are any issues you see in your plants (such as wilting) they may be directly related to soil, drainage, light, or any other number of factors. Consider taking the guesswork out of having to mix fertilizers or nutrients by utilizing a fully amended living soil, such as Sohum Living Soils. Contact us today, and you will be on your way to high-quality marijuana plants.